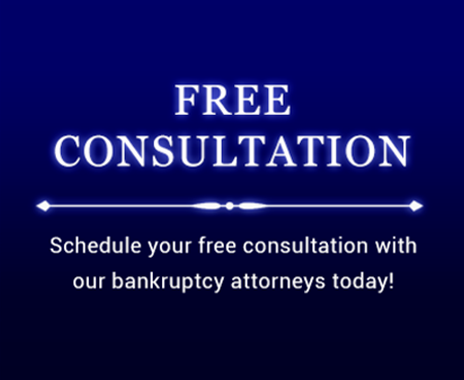 If you have filed for bankruptcy in the past, you may be wondering how soon you can file bankruptcy again. There are time limitations for receiving a bankruptcy discharge after you have previously filed for (and received a discharge in) Chapter 7 and Chapter 13 bankruptcy. Although the bankruptcy code does not set any minimum time that you have to wait before you can file for bankruptcy, if you file too soon after you have received a discharge of your debts in a prior case you cannot receive another discharge. Since this generally makes the second bankruptcy filing a waste of time and money, it is important to know the time frames that apply to receiving a second discharge. If you are filing under the same bankruptcy chapter, the time frames are different depending on whether you are filing for successive Chapter 7 or Chapter 13 cases. If you received your first discharge under a Chapter 7, you cannot receive a second discharge in any Chapter 7 case that is filed within eight years from the date that the first case was filed. If you received your first discharge under Chapter 13, you cannot receive a second discharge in any Chapter 13 case that is filed within two years from the date that the first case was filed. If the second bankruptcy case you want to file is under a different chapter from the chapter you received your first discharge under, the order determines the time frame. If your first discharge was granted under Chapter 13, you cannot receive a discharge under any Chapter 7 case that is filed within six years from the date that the Chapter 13 was filed. if you paid at least 70% of the claims in the Chapter 13 and the plan was proposed in good faith with best effort. If your first discharge was granted under Chapter 7, you cannot receive a discharge under any Chapter 13 case that is filed within four years from the date that the Chapter 7 was filed. In some circumstances, you might still benefit from filing a Chapter 13 case immediately after getting a Chapter 7 discharge (this is commonly referred to as a “Chapter 20” bankruptcy), even though you cannot get a Chapter 13 discharge. For example, perhaps you want the protection of the bankruptcy court while you pay a tax debt through a Chapter 13 plan. This type of bankruptcy can be particularly complicated, and it is wise to consult an experienced bankruptcy lawyer for advice on this subject. What If You Didn’t Receive a Discharge in the First Case? If you didn’t receive a discharge in the first bankruptcy case, in most cases, you can file bankruptcy again without any limits on the second discharge. There may also be different rules in effect with regard to the bankruptcy stay following dismissal. If your discharge was denied in your first case, you may be able to file again, but you will probably not be entitled to a discharge of the debts from your first case. This is another special circumstance where you would be wise to seek the advice of an experienced bankruptcy lawyer. Call the Law Office of Howard Tagg today at (903) 581-9961 to schedule a free consultation.